A recent study by The Center on Budget and Policy Priorities showed that low-income children who are receiving Supplemental Nutrition Assistance Program (SNAP) benefits, also known as food stamps, actually perform better in school than children who are not receiving the benefits. The reason is very simple. They have food in their tummies. Being hungry affects the ability to concentrate in school, resulting in lower test scores and the higher possibility of not graduating from high school. Basically, being hungry affects their entire lives and their future. Poor students receiving food stamps are 18 percent more likely to graduate from high school, according to the study, especially young girls who showed increased scores in reading and math. 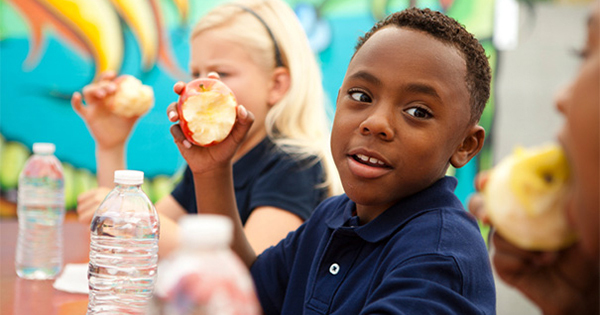 Children from low-income families often do not get the same amount of food as other children, and may even be skipping meals due to economic circumstances. When children go hungry, they can't concentrate, they are much more likely to become ill, and they are either too embarrassed or too proud to ask for food. So, they suffer in silence. In states like Vermont, where every four children under the age of 18 in on a food stamp program, teachers see hungry children every day. Many teachers keep food and snack items in their desk drawers to help out children they know are suffering from hunger. Even local citizens are trying to help by donating fruits and vegetables from their gardens. Vermont is certainly not the only state that sees hungry children. There are other communities across the country that have children in need.